Noble Mount Women's Benson Spring Scarf with Tassels is a great accessory to add to your summer wardrobe. Whether you are about to go on a cruise or just take your summer vacation, this scarf will be perfect to add to any outfit! With its lightweight and breathable fabric, beautiful print and color, and tassels on the ends, this scarf is perfect for the warmer weather! It's the perfect length to wear it doubled up wear it looser around your neck. Seamlessly transcends from casual to formal. This scarf makes for an amazing gift. Just try it and we know you will love it. Noble Mount is committed to 100% customer satisfaction! 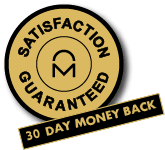 If you are unsatisfied for any reason, you may return your purchase within 30 days of the ship date, with the items original packaging, for a full refund. No questions asked! Some exclusions apply, read our Return Policy	for details.